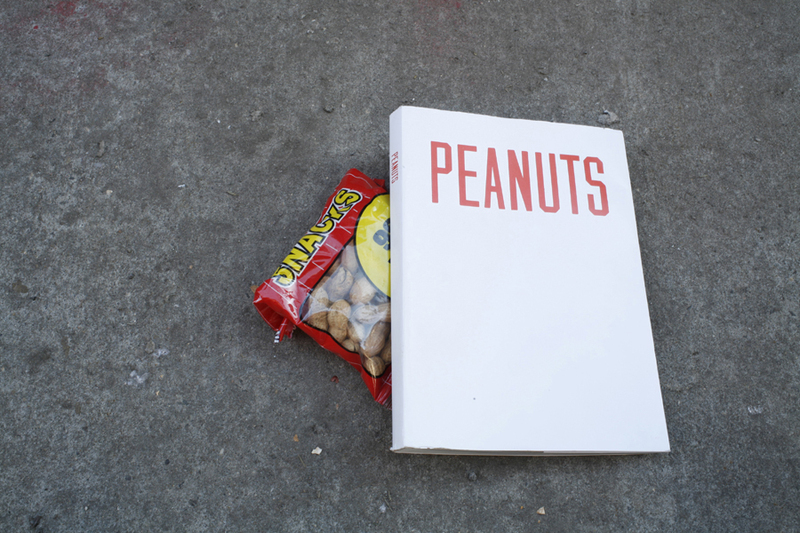 In his first film, Peanuts, Dan Colen ambles through the streets and parks of Manhattan with only a paper bag full of peanuts to keep him company. 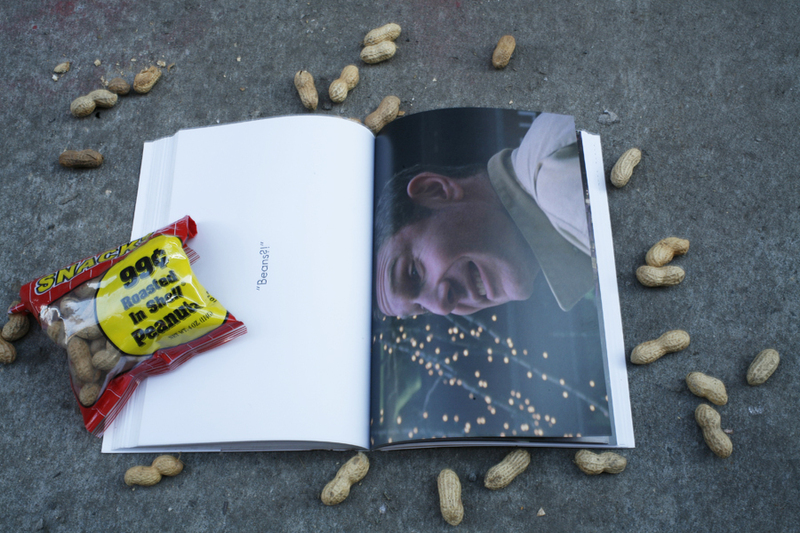 Searching for the miraculous with the ragtag charm of Ratso "I'm walking here" Rizzo, Colen gleefully navigates the city like a worm feasting its way through an apple. 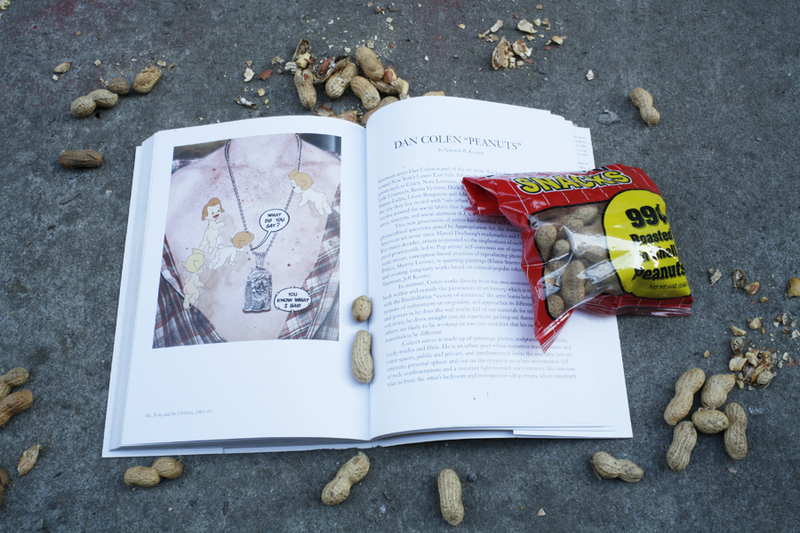 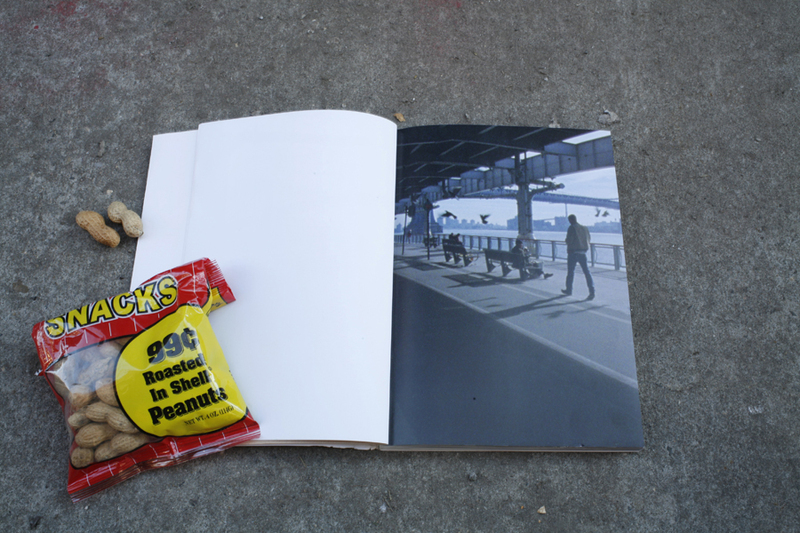 From the Staten Island Ferry all the way up to Harlem, Peanuts is an affectionate ode to both the charmingly uncouth city that Colen calls home and the characters that populate its streets. 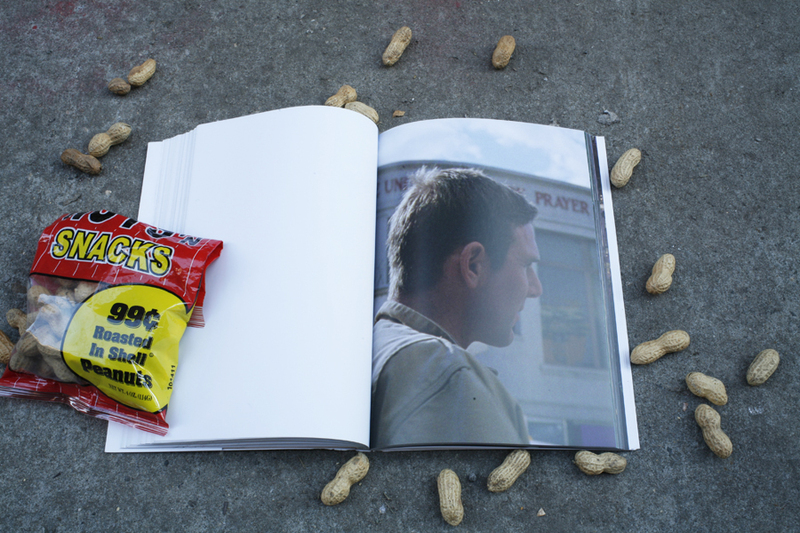 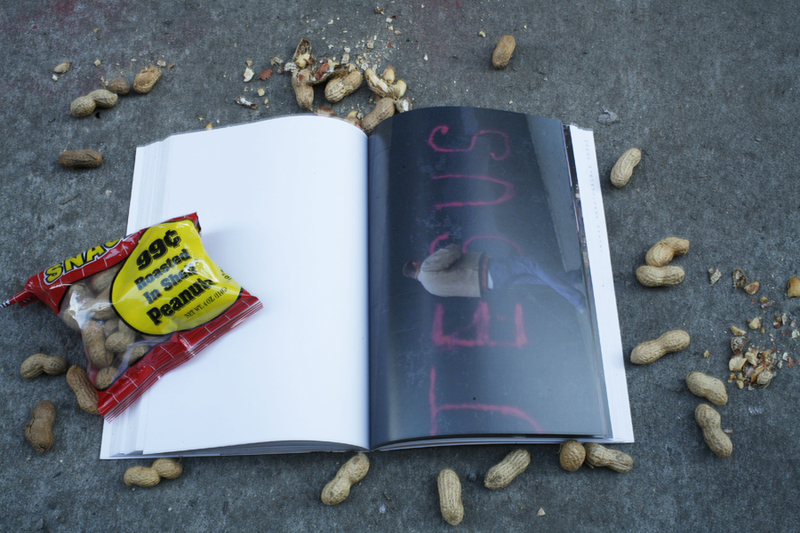 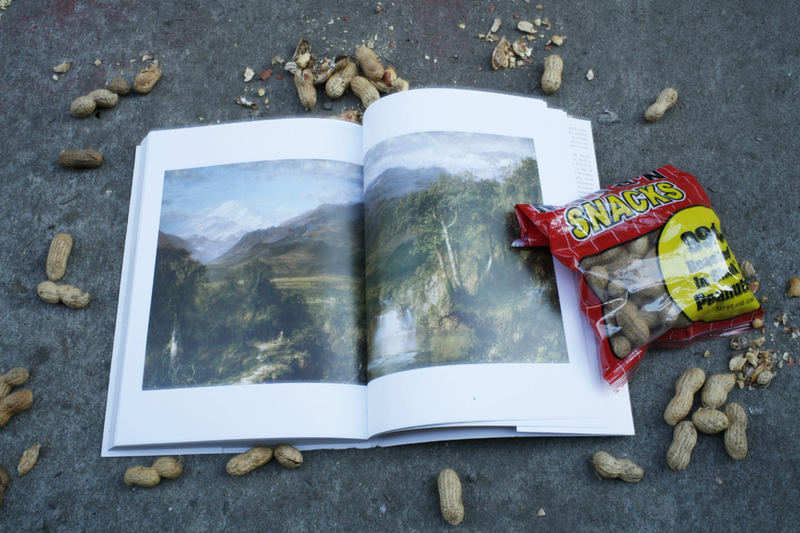 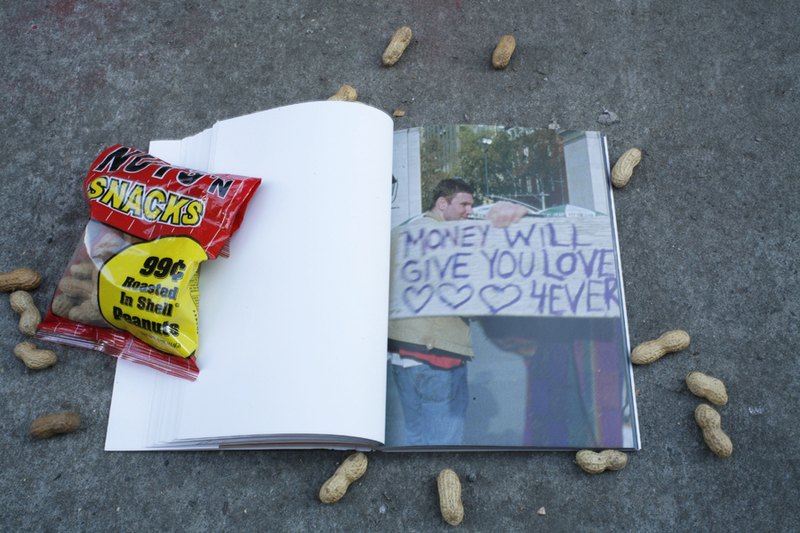 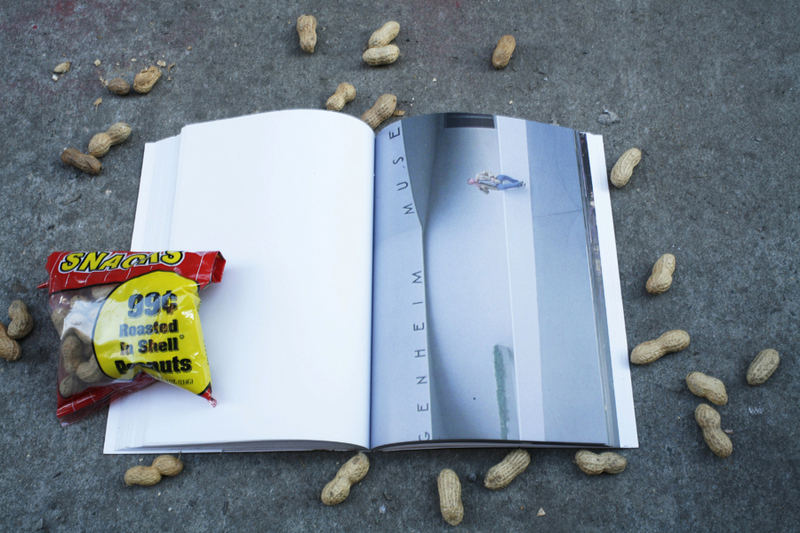 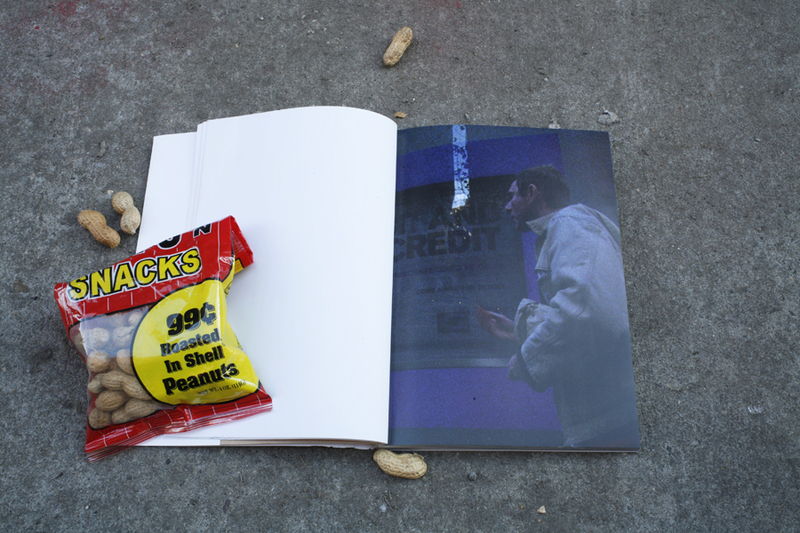 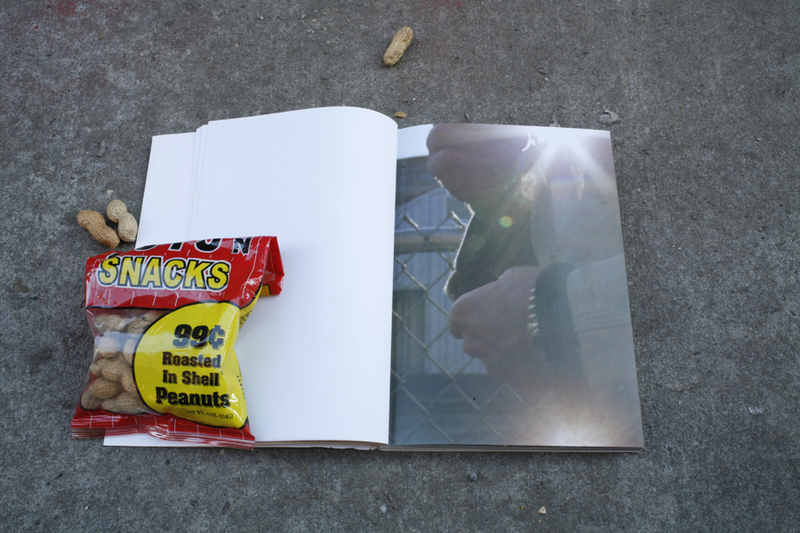 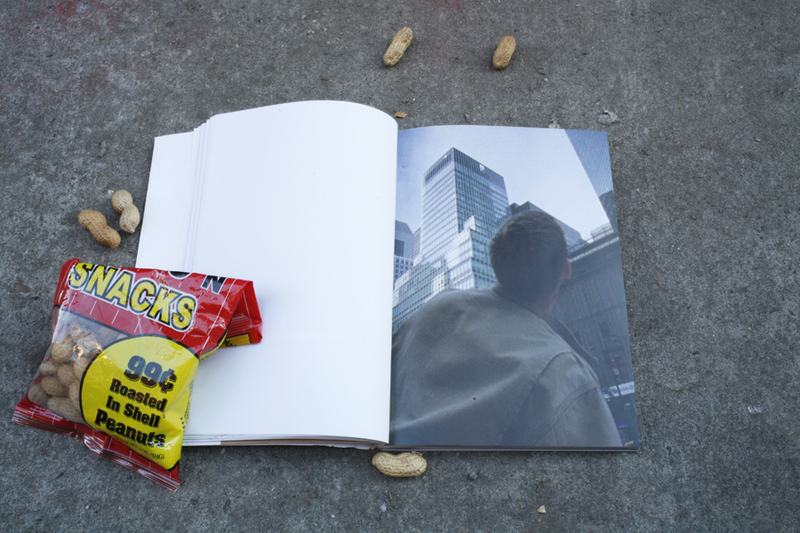 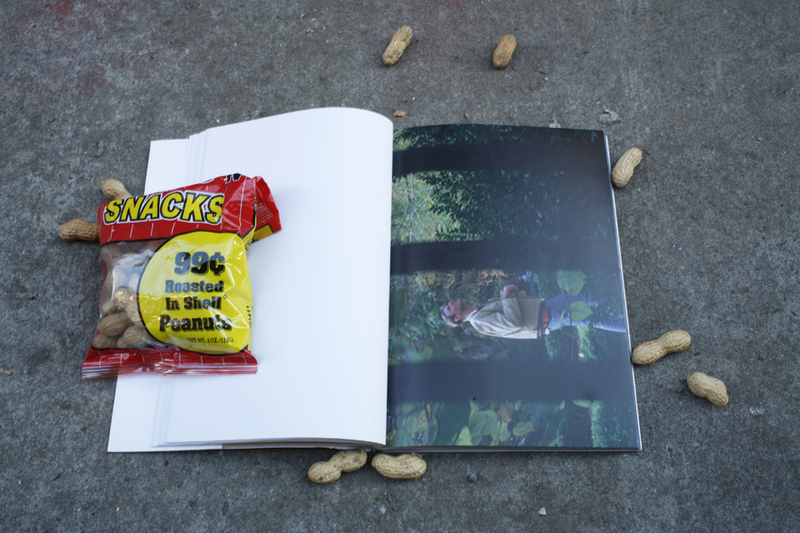 For the accompanying book, which doubles as a catalogue to Colen's 2011 exhibition at the Astrup Fearnley Museum of Modern Art, hundreds of stills from Peanuts are collected into full-color, full-bleed reproductions, translating the film into a deadpan artist book inspired by Ed Ruscha's early book works. 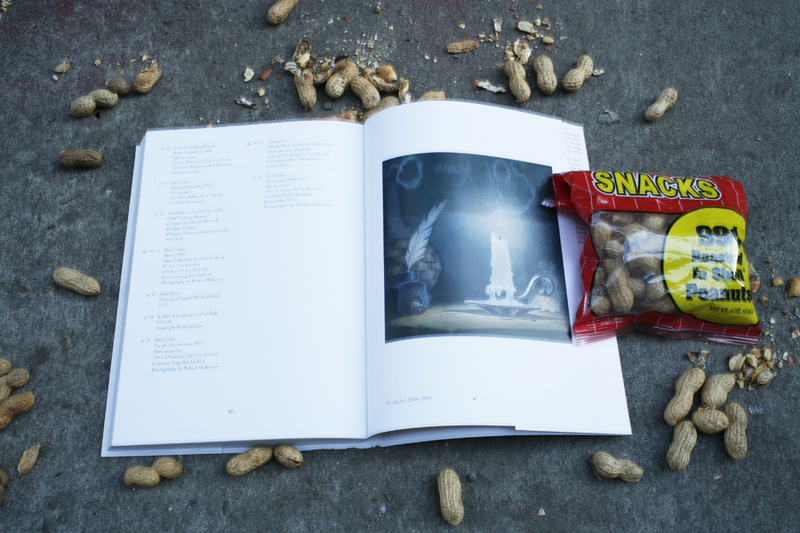 Also includes texts by Gunnar B. Kvaaran, Mary Blair Taylor, Matt Kenny, Ellen Langan and Francesco Stochhi.